The Mindful Movement has Arrived. ZEN*GA™ is a synergistic blend of mind-body modalities, supported by exercise science and the newest findings in fascial fitness. ZEN*GA™ represents the search for inner discovery, while YOGA symbolizes a pathway to reach it. Together they form ZEN*GA, which is based on Four Mindful Movement Principles: breath, support, yield and flow. When applied together, these principles bring awareness of how the body and the mind move in tandem. ZEN*GA focuses on core stability, stamina and resilience while attaining a state of presence. The increase in demand on the neuromuscular system affords the benefits of improved strength, enhanced elasticity and creates a more youthful, resilient and fluid body. To earn the designation as a ZEN*GA Instructor, one must complete a Foundation Course and receive the Certificate of Completion. 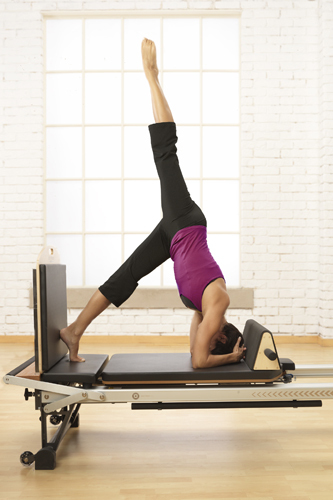 Copyright © 2014 Intermountain Pilates Training Center, All rights reserved. Utah web design by Lucas Marc Design. Photography © Merrithew Corporation. Content © Merrithew Corporation, used with permission. ™/® Trademark or registered trademark of Merrithew Corporation, used under license.